The DeST software was used to analyze the energy consumption of the food dryer and found that there was a problem of high energy consumption, and energy saving was improved. The rotary air heat recovery device is added to recover the exhaust air through the microwave drying mechanical technology, and the cooling chamber directly introduces fresh air in the winter using part of the return air and the transition season to solve the high energy consumption of the food dryer. According to the heat transfer method, the mathematical model of the rotary heat recovery device is established, and the PLC control variable is used to improve the total heat recovery efficiency. The energy consumption before and after energy saving improvement was analyzed by DeST software. The results show that the energy consumption of the improved drying room air conditioning unit in winter, summer and transition season decreased by 21.42%, 4.81% and 18.79%, respectively. The energy consumption of the unit in the winter and transition season decreased by 13.29% and 17.26%. The results prove that the energy consumption of the food dryer is significantly reduced after the improvement, and the energy saving improvement is effective. At present, the drying and drying equipment further strengthens the research of basic research, automation, manufacturing process and material material design toward high quality, low energy consumption and environmental protection. Convection drying equipment is widely used in the industry. Air is both a heat carrier and a moisture carrier, and hot air is in contact with the food for heat exchange to evaporate water. 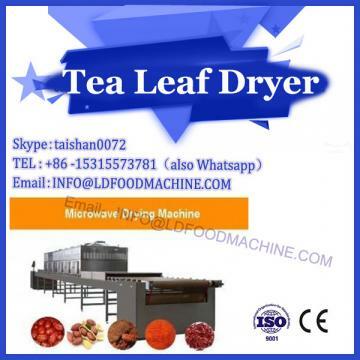 The principle of the food dryer in this paper is convection drying, which uses hot air and cold air to treat food. Analyze the energy consumption of food dryers, and aim at high energy consumption defects, and achieve low energy consumption for energy-saving renovation. The process of the food dryer: The food is placed on the drain conveyor and transported by the drain and vibration to evenly enter the lifting conveyor. The food is lifted to the inlet of the drying box by the lifting conveyor. 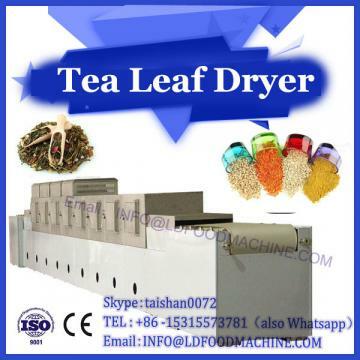 The drying box mainly uses hot air to take away the surface moisture of the food and cool the food with cold air to reach the storage temperature, and the food is transported to the outlet through the conveyor belt in the drying box. The collection conveyor is placed across the outlet of the drying oven, and the processed food is collected by a guide. The main energy consumption part of the food dryer is the air conditioning unit that provides drying and cooling. The DeST energy simulation software is used to simulate the air conditioning system of the food dryer. The air conditioning system adjusts the air to the state of handling food temperature and moisture. 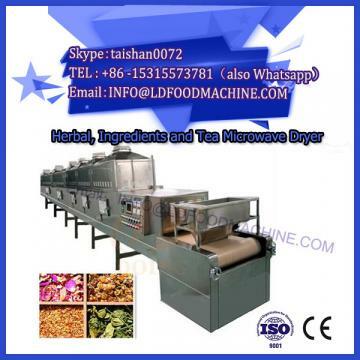 The structure and air conditioning system of the food dryer are designed in DeST. The air conditioning system includes air treatment equipment and cold and heat sources. The simulation of the system scheme obtains the temperature and humidity of each stage of the air conditioning unit air. Through the energy consumption analysis, the original design does not reuse the large amount of heat contained in the dry room waste air and the cooling room waste wind, but directly discharges it outdoors. This results in low energy efficiency in production and huge energy consumption. The heat in the waste wind can be recycled to avoid energy waste. Energy-saving improvement of food dryer: A rotary heat recovery device is added between the drying chamber and the cooling chamber to recover heat from the waste air. The heat storage core of the runner heat recovery device absorbs the moisture and heat of the waste air in the drying chamber and exchanges heat with the cold trend waste air. The waste air in the cooling chamber absorbs heat and sends it to the drying chamber to reduce its heat load. After the waste air treatment in the drying room Directly discharged outside. In the winter cooling room, part of the drying room waste air is used to reduce the heat load of the cold air conditioning unit.